Is Pumpkin Good For Your Teeth? Around the fall and winter holidays, pumpkin can be found in almost every restaurant and coffee shop. We’ve got pumpkin spice lattes, pumpkin pie, pumpkin bread, pumpkin soup, and the list goes on and on. While not every pumpkin-flavored treat is exactly healthy for us, did you know that real pumpkin is a nutrient-dense food? Pumpkin is a type of squash, so it is technically a fruit even though it is commonly considered and prepared as a vegetable. Read on to learn more about how pumpkin can help with you and your family’s physical and oral health! Pumpkin contains a TON of awesome and important vitamins and minerals like zinc, which helps heal wounds and repair damaged tissues. Your gums will appreciate it! Other stellar benefits of pumpkin include vitamin A, which aids in the flow of saliva, and vitamin C, which helps keep your immune system strong enough to fight off infections. 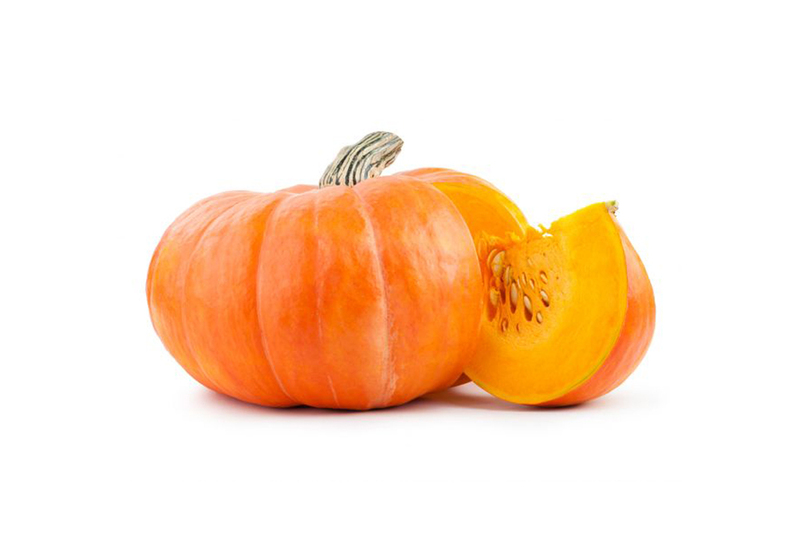 Pumpkins also contain magnesium, which works together with calcium to build strong tooth enamel and prevent cavities. Pumpkins are even packed with fiber, which helps scrub your teeth and also contributes to saliva production! If pumpkin isn’t your thing, you can still get a lot of great health benefits from pumpkin seeds! Pumpkin seeds contain nutrients like iron, which helps keep the tissues in your mouth healthy and prevents anemia. You can bake the seeds left over from carving pumpkins, or find them at your local grocery store! They make a great, nutritious snack. You can even try pumpkin seed oil in your cooking! We love our seasonal pumpkin spice flavors in the fall. The spices used to create this iconic flavor also carry some great health benefits! Cinnamon contains antioxidants to boost your immune system, as well as anti-inflammatory properties that help soothe irritation. Nutmeg has been proven to help ease insomnia in small doses, and also facilitates healthy digestion. Another important spice in pumpkin flavor is clove, which also contains many vitamins and nutrients. One study even found that clove’s antimicrobial properties may help prevent against gum disease! While all of these health benefits are awesome, it is important to remember that you can only get all of these benefits if you are eating actual pumpkin or the real spices. Treats like pumpkin spice lattes often contain no actual pumpkin and a LOT of sugar. Opt for choices like homemade pumpkin pie, pumpkin smoothies (try a smoothie with coconut milk, pumpkin, almond butter, and pumpkin spice! ), or baked pumpkin. Keep smiling this holiday seasons while you enjoy pumpkin and all of its wonderful health benefits! In all the holiday madness, don’t forget to call our office today to schedule your next pediatric dental checkup.